First of all, I need to mention how much I love the fact that you guys love snarky/sleep deprived Giselle. Glad to know I’m not the only one who gets ticked off by the crazy things people sometimes say to those of us who work out and/or eat healthy. Now, onto today’s post and the healthy snack roundup I’ve got for ya! It’s exam time again which means it’s I’m either thinking about studying, planning my study schedule, napping because I can’t face all the studying I have to do studying or eating. One thing I almost never have time to do though, is cook. In the past, I would have just slipped back into less than healthy eating patterns come December, but these days I try to take my own advice and stock up on some key ingredients for healthy snacking and batch cook some healthy foods and snacks before I get too busy. No Bake Pumpkin Raisin Bites via To Live and Diet in L.A. 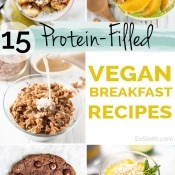 Follow GiselleR @ Diary of an ExSloth’s board :: Healthy Snack Recipes :: on Pinterest. What is your favourite snack food? Do you make your own or buy them pre-packaged? Which of these recipes have you made or want to make? Hey thanks for doing all this research and roundup for me! Some of these would be great in a Christmas tin and given as gifts – much better than just non-healthy sweets! Very true! I love getting and giving snacks for Christmas but a lot of it isn’t so great for ya. Ohhh you don’t want to know what I eat when I’m working! I eat the worst things when I’m busy and stressed. 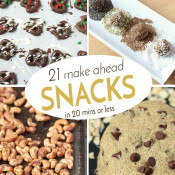 I really need to start making healthysnacks like these for myself. You should try it Jess! 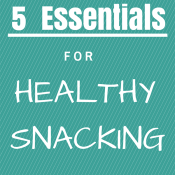 It’s really easy to prep a lot of healthy snacks on Sunday that can last through the week. Ohhh the study munchies. I wouldn’t have made it through school without my snacks… and coffee… -definitely- coffee. I’m a huge fan of snacking on homemade granola or trail mix when I’m working on a project, and it’s gotta involve lots of dried fruit and chocolate. Other than that, crunchy veggies with hummus are a big love, as are smoothies. 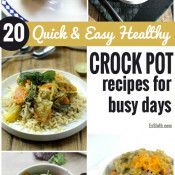 Anything quick and easy! Such a great post! Thanks for sharing these recipes!! Yes, it is awesome… شكر … greetings from California! 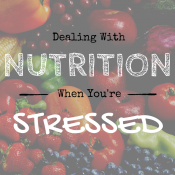 I’ve got to say my go-to snack everyday is raw unsalted nuts…they are my candy! 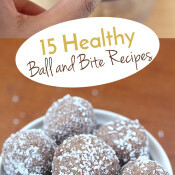 Great research lady & thanks for including my cranberry balls! My favorite snack food this time of year is grapefruit! I love the smell– they really perk me up in the afternoons. I have a love/hate relationship with grapefruit but right now it’s on. I’m loving oranges this season too! 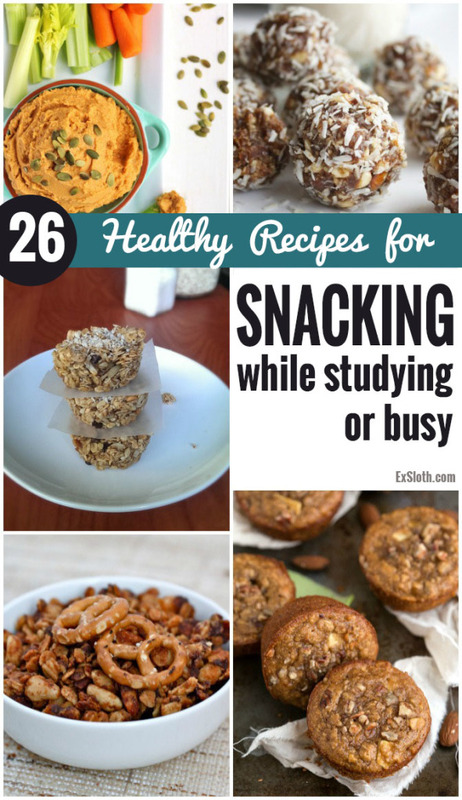 I am always looking for healthy snack recipes because due to nut allergies, I really can’t eat many of the healthier packaged snacks. 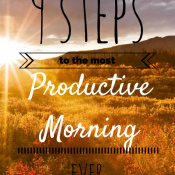 There are so many great ideas in this list though! I feel ya. I may not have a nut allergy but it’s surprising how many snacks contain milk products. So I’ve been forced to make my own these days. Not complaining tho!